Available in Spider Version 2013.2.28.XXXX and above. 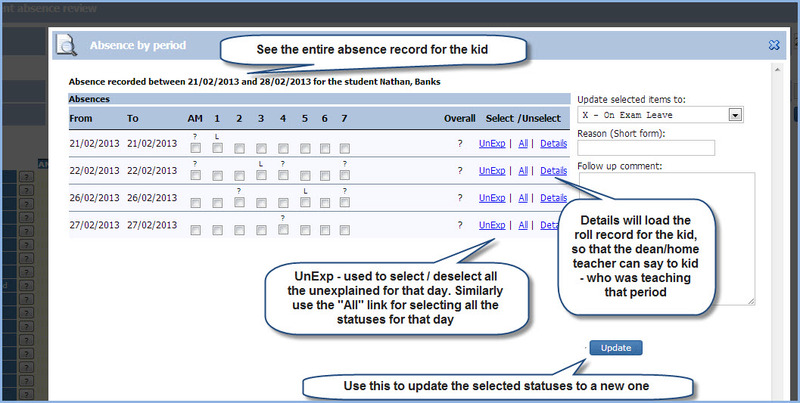 PCSchool has improved the ability for teachers to review student absences through the Spider. Now through the ‘Student Absence Review’ control and the ‘Absence Entry’/’Roll Marking’ control there is an additional [?] 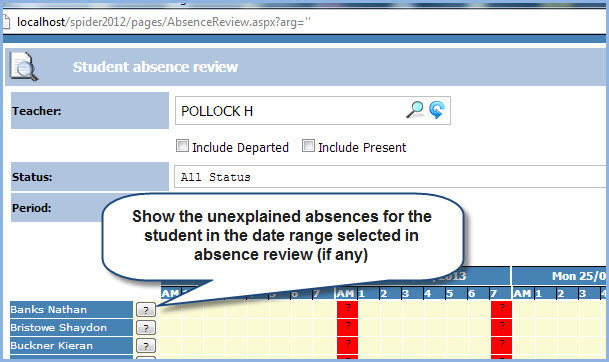 button that when clicked gives greater detail on the students absences. This entry was posted in Attendance, Behaviour & Attendance, Spider and tagged Classroom Management, pcschool, school administration software, School Administration System, School Management Software, School Management System, school software, Student Information System, student management Software, Student Management System, web spider by studentmanagementsoftware. Bookmark the permalink.